The extraction industry is doing better today than it’s ever done before in it’s industry. When you hear the term extraction, most people are referring to the process by which various materials are extracted from plants. These materials are essential in a number of processes. They’re often used in pharmaceutical products and in research for cures to various ailments. These extracts are also commonly used in a wide range of cosmetic products, from lotions and soaps to makeup. In some cases, these extracts are even used in products that people consume such as nutritional supplements. People in today’s world are much more aware of the negative impact processed goods can have on their bodies, so they’re looking to use more natural products. These essential oils that are extracted from plants are precisely what they’re looking for. Given that this trend looks like it will continue for some time, expect extraction to continue in large numbers as well. There have been lots of different processes that companies and individuals have used over the years to extract materials from plants, but butane extractors are quickly becoming the most popular. It’s safe to say today that butane extractors and BHO extractors are the future of the extracting industry. There’s a few reasons why this is so, but first it would be good to explain exactly how this process works so you have a better understanding. A butane extractor is pretty much exactly what it sounds like. It’s a contraption or machine that runs butane through its parts and over the plant material that’s put into it. The butane works as a solvent as it goes over the plant, breaking it down into parts and allowing the person to extract a specific material from the plant. The typical BHO extractor today is capable of adjustments, allowing the user to modify the extraction process to fit their specific quantity and quality needs. Now that you understand how the process works, let’s jump into why it’s so popular and why so many people are using it today. It starts with how easy the extractors are to set up and use. Within a couple of hours a regular person can learn how to use these extractors and can get started on the extraction process. These machines only take a small amount of time to set up and they’re easy to store as well, making them ideal for people from all different walks of life. On top of that, these extractors are incredible at filtering out any contaminants that have often ended up in extractions. 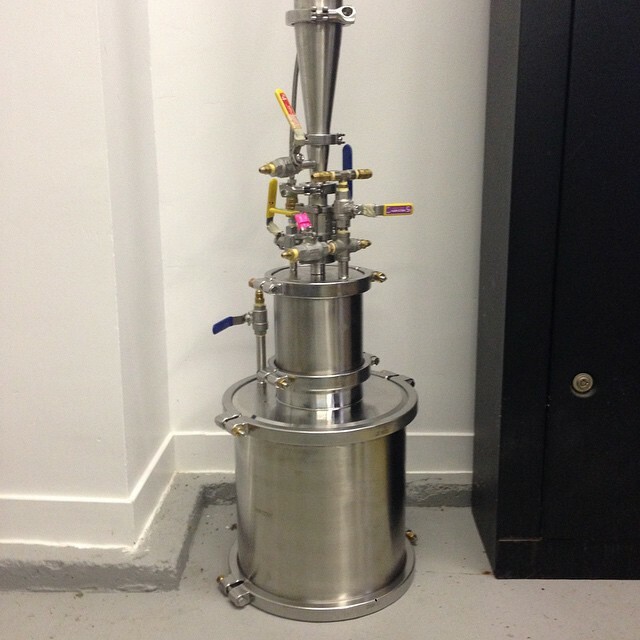 For example, the butane extractor that Terpp Extractors manufactures is fully capable of ensuring that 99% of all contaminants are removed from the extracted material. That’s an incredible improvement upon past processes, and it’s just one more reason why so many people believe these types of extractors to be the extractors of the future. To learn more about butane extractors or to get one for yourself, visit the website of Terpp Extractors as soon as you can. ← Look for these five things in wedding caterers.